International Rescue having scrapped Thunderbird 2 in Venice after it broke down, thoroughly enjoyed driving their newly acquired Mercedes estate. 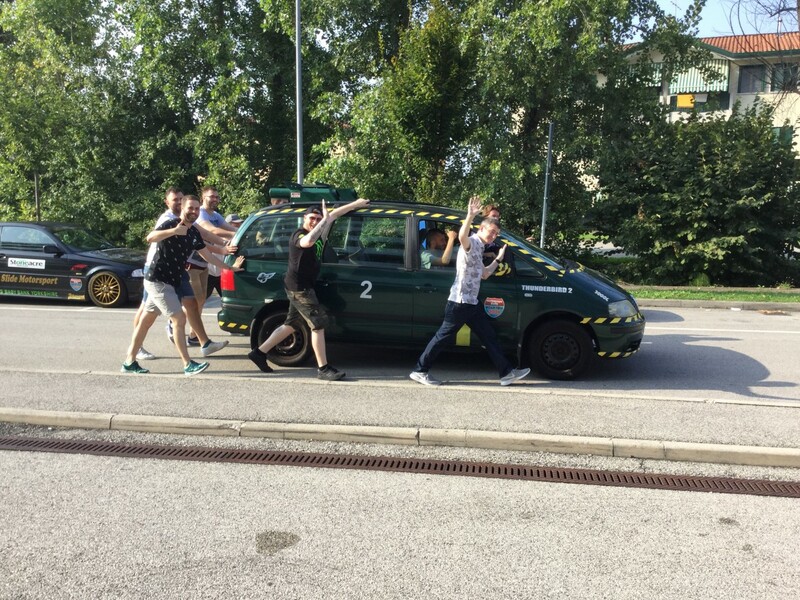 Comic Interlude had kindly donated their car after they finished the rally in Venice. 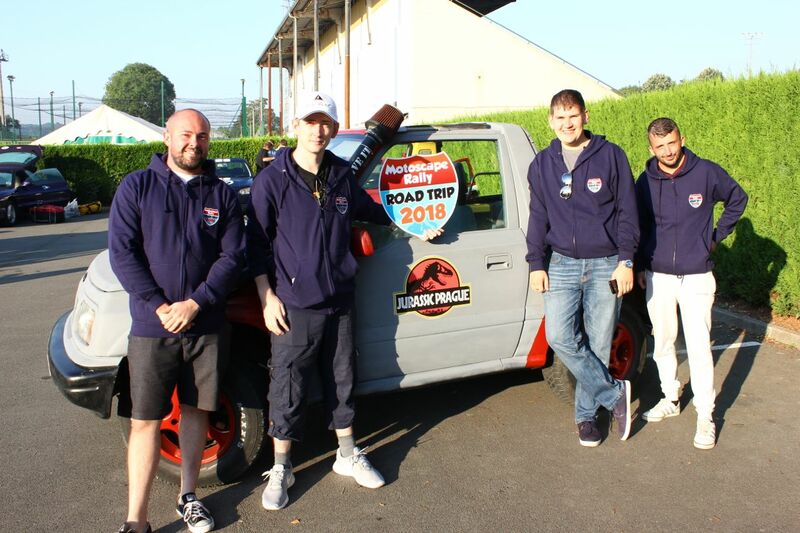 Steve from Jurassic Prague reported that Andrew and Robert from Anchorman have given him their Film Crew designed car and left it in Venice for a friend of his to collect and take to Verona for him to have when he is there working every two weeks as an aircraft engineer. 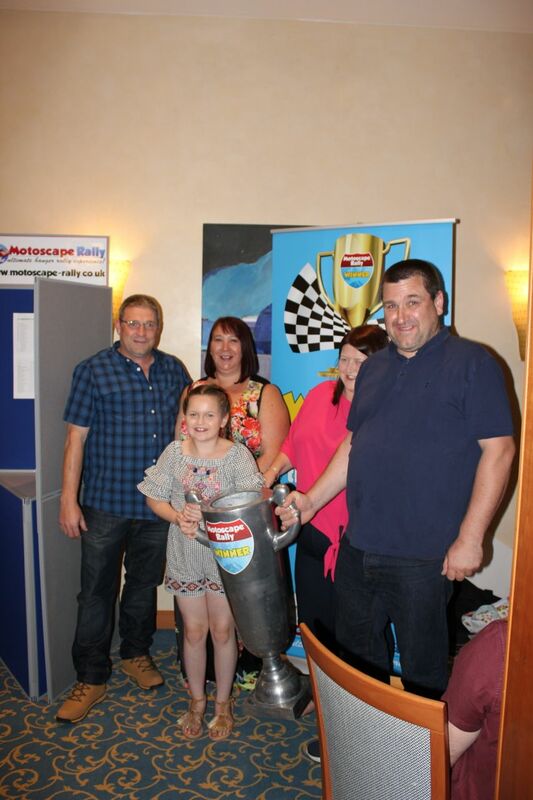 How International and cosmopolitan are our Motoscapers?! 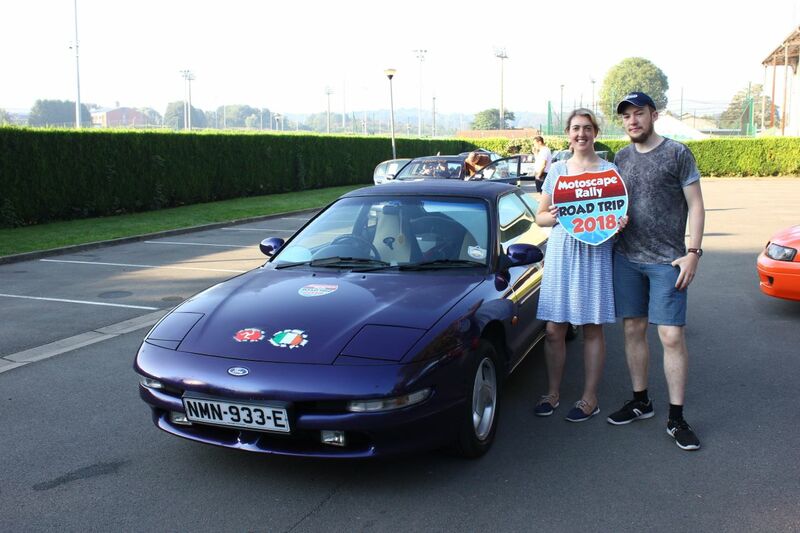 Annabel and Diarmuid, the petrol-heads!, went on a voyage to visit the historic race track at Brno and were happily surprised to find a touring car test day going on and they thought it was brilliant. Dudley and Matt from Team Scrumptious went to Czezky Krumlov and were both fascinated by the beautiful historical buildings and a little bemused by many phallic statues randomly on display! The Wolf Miners and Mansells Mustdash went to the Mathausen concentration camp near Linz and found it quite a harrowing but a worthwhile experience.